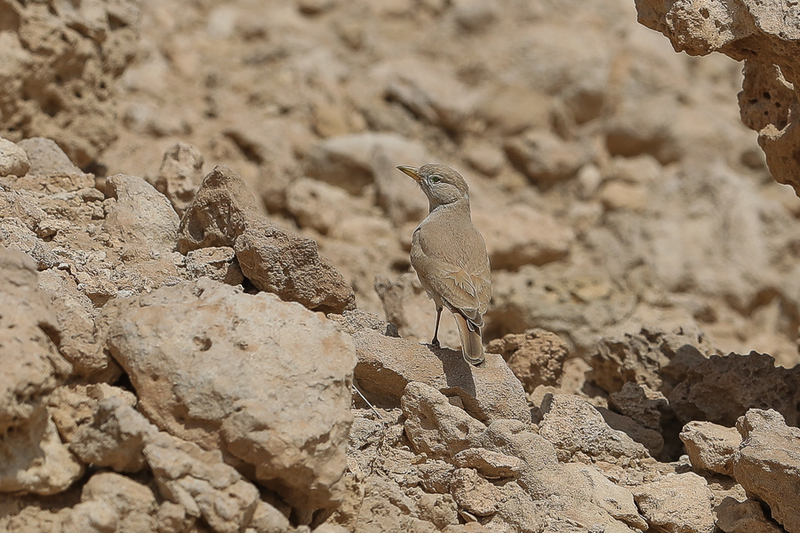 On a quick trip to Jabal Nayriyyah I saw a pair of Desert Larks of the pale azizi race. Birds occur throughout Saudi Arabia gradually becoming paler towards the east. A. d. azizi occurs in northeast Saudi Arabia around the Hufuf and Shedgum areas and is the palest race with pale creamy plumage. 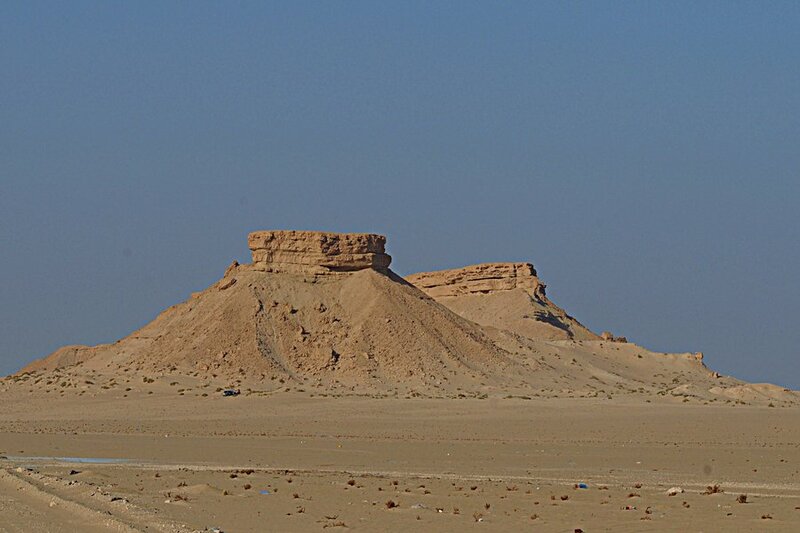 To get to the Jabal Nayriyyah site take the Abu Hadryah highway from Dhahran/Dammam/Al Khobar towards Jubail and Khafji. At the Sabkhat Al Fasl turnoff in Jubail continue straight on towards the Kuwait border. After 66 kms turn left towards Nayriyyah on route 85 and continue past Nayriyyah and after about 20 kilometres you will see the jabals off to the right.